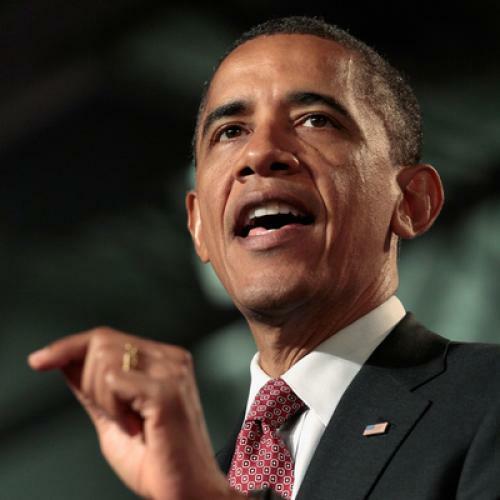 President Obama has made all kinds of speeches and proposals about how to reduce the deficit. But, at least recently, he hasn’t submitted a formal plan – a fact Republicans and their allies constantly use against him. That will change Monday, when the Obama administration introduces a detailed proposal on how to reduce the budget deficit. Overall it will call for about $2 trillion in new* deficit reduction over the next ten years, according to senior administration officials who briefed reporters on Sunday evening. Citing official government projections, they expect that it will stabilize the deficit as a percentage of gross domestic product by the end of the decade. Of that $2 trillion, $1.5 trillion would come from higher taxes on the wealthy, particularly millionaires. The rest would come from spending cuts, including about $250 billion from Medicare. But the cuts would be similar in structure to the ones in the Affordable Care Act – i.e., they would be changes in the way the program pays for medical care, not changes in the benefits that individual seniors receive. Increasing the programs’ eligibility age from 65 to 67, one of the most controversial ideas the administration contemplated, is not part of this proposal. Actually, in this case it would seem to make for perfectly reasonable economics. The Obama Administration has made clear previously it would not call for new taxes to begin until January 2013, at the earliest – in order to give the economy more time to recover from the financial crisis. Monday’s proposal will, as far as I know, adhere to that principle. And, over the long run, the only way to make the federal budget sustainable without gutting essential, and rightly cherished, government programs is with higher taxes. In an ideal world, I’d prefer higher taxes on (some of) the middle class as well as the wealthy. For now, higher taxes on the wealthy will do, particularly since the very wealthy, by definition, haven't experienced the same financial challenges and struggles as people in lower income groups. Of course, Obama made similar (though not precisely the same) arguments during the debt ceiling debate, only to offer lopsided deals of mostly spending cuts with just a little revenue – infuriating progressives. He pulled those offers back only because House Speaker Boehner refused to take them. But a senior administration official on Sunday evening made clear that this proposal came with a different spirit in mind: This time, the administration isn’t trying to put a compromise on the table, in the hopes Republicans will come around to it. Instead, the administration is laying out its preferred vision for reducing the deficit, in the hopes it can establish an ideal for an eventual compromise or -- in case no compromise can be reached -- convey to the voters what principles this White House and the president care about most. *Emphasis on the "new." If you count the savings from drawing down military forces in Afghanistan and Iraq, as many budget estimates do, and if you include the spending cuts already taking place because of the summer debt ceiling deal, then the total deficit reduction of this proposal is actually above $4 trillion.